MAINTENANCE FREE LIVING! 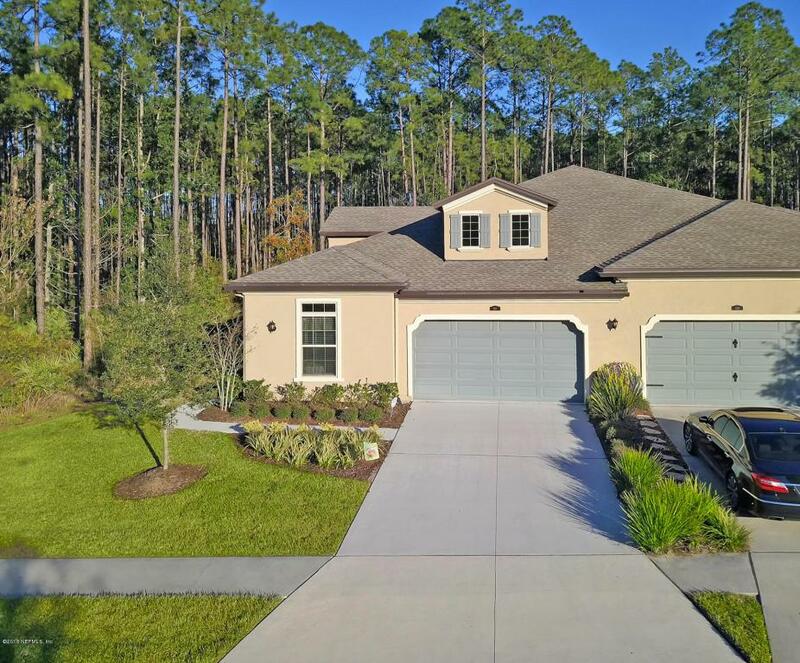 Come live the Nocatee lifestyle in this beautiful home that sits on a double preserve lot in the gated ''The Villas at Nocatee''!This home is loaded w/upgrades & is a must see!Features include a spacious dining rm w/full wet bar including sink & beverage fridge.2 BR's, 2.5 BA's + Den w/French doors.Kitchen w/espresso cabinetry,quartz counter tops,large island, double ovens,gas cooktop w/vent hood,subway tile & walk-in pantry.Kitchen open to both the great rm & dining rm for easy entertaining. Popular wood look tile everywhere except bedrooms.Quartz countertops in bathrooms & laundry rm.Great rm boasts soaring 12/13ft ceilings.Beautiful views of the preserves from all over the home.Owners Suite w/rain shower & over-sized jetted tub.Huge laundry room w/lots of cabin& sink. 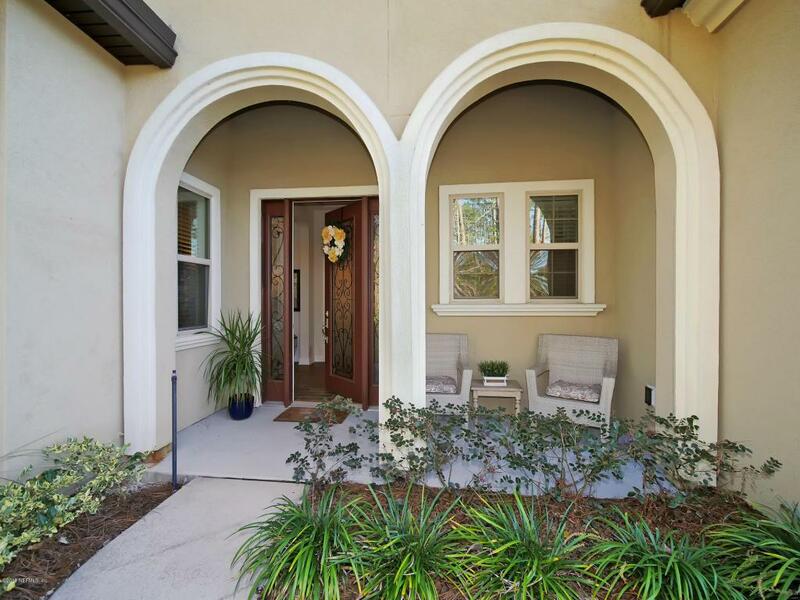 Screened lanai w/stone gas fireplace.2 car garage. Surround sound in great rm,master & lanai. The HOA dues cover the irrigation, lawn maintenance, roof replacement & exterior painting! 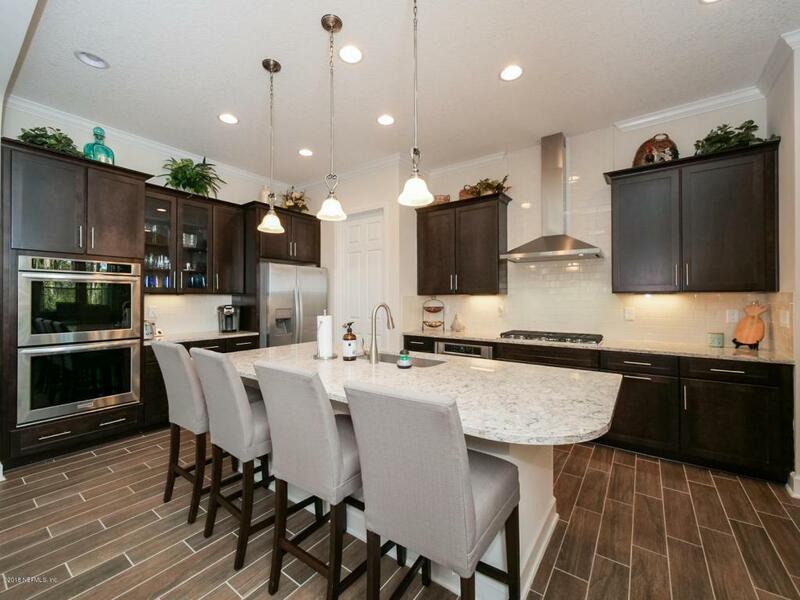 Nocatee Amenities Include: Splash Water Park featuring Rip Tide Slide, Lazy Tides River, Splash Cove, lagoon pool,330 foot zip line, fitness club featuring cardio & weight equipment, free weights & classes. Greenway Trails great for hiking & biking, approx. 2,400 acres of wildly beautiful land fronting a 3.5-mile stretch of the Intracoastal Waterway. 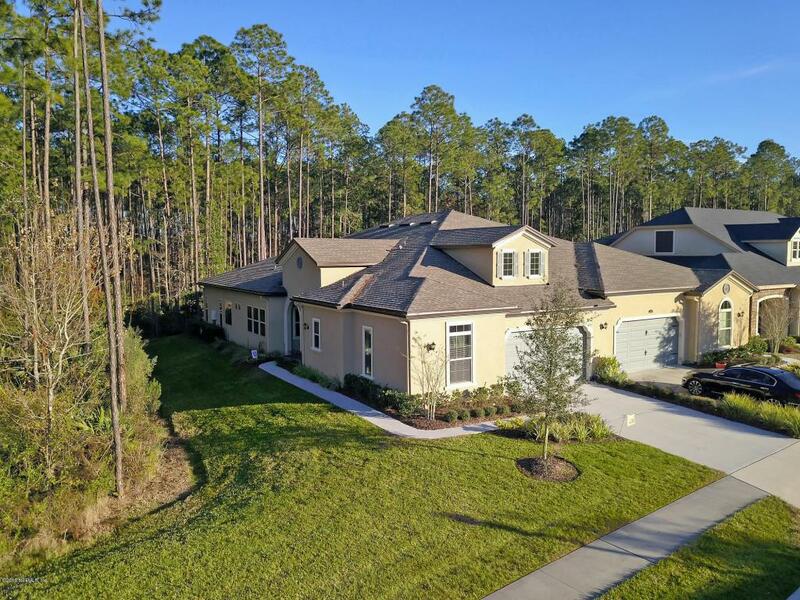 Cypress Trails & Twenty Mile Village also have Nocatee amenities within the neighborhoods.